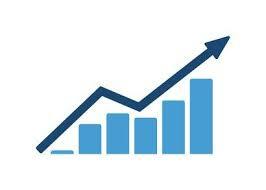 Trading Forex and Binary option is simple as ABC especially when receiving trading signals to use in trading. What is trading signal? Trading signal are generated for Traders in order to place a successful winning trade when trading Forex or Binary options by proffessional trade analysts accross the world. Experts watch the Market technically, fundamentally and sentimentally, they analyse it and send out signals to traders. Signals are like quick Expo to success. This is/are the sample of signal you will be receiving, you can receive range of 4 to 15 Signals depending on your subscription package. N.B>>You will be receiving Signal in this FORMAT BELOW by TEXT MESSAGES or through OUR WHATSAPP PAGE. THE first signal which is USD/JPY as seen above specify that trader should trade on USD/JPY, and they must select BUY or CALL or HIGH and then set the expiry time of the trade to 20 mins which is a typical example of BINARY options trading. THE third signal specify trader should trade on BTC/USD and they must select HIGH or BUY or CALL and set the expiry time the trade will end to 10:40am and this a typical example of Cryptocurrency trading. When you make payment for signal, the money is being paid in bulk to experts who in turn generate and send signals to paid traders. All signal packages comes with a monthly renewal plan. 1. ADVANCE SIGNAL- #20,000. You will be getting 7 -10 signals daily, and signal is very strong. 2. INTERMEDIATE SIGNAL – #15,000. You will be getting 4 -7 signals daily, and signal is very good. 3. NOVICE SIGNAL – #10,000. 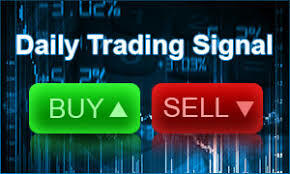 You will be getting 2 -4 signals daily, and signal is moderately good for beginners. Click the PAY WITH BITCOIN button below and select your desired signal package fee on next page. N.B>> Traders should be aware that experts and trade analyst charges in bulk, because of this, when you make payment, we gather all the money paid by traders and pay in bulk to experts, in return they will send us signals which we will be sending to you. So you might be getting signals directly from us at times.